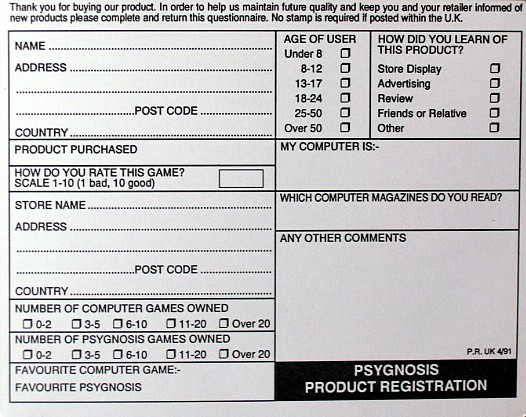 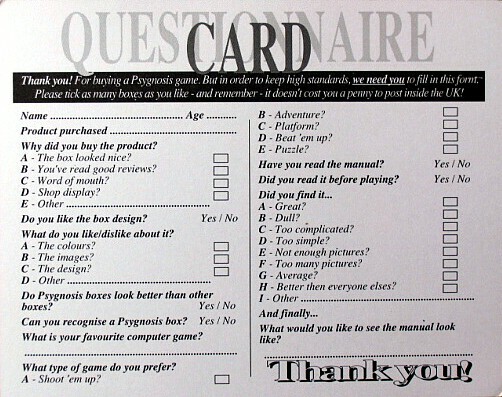 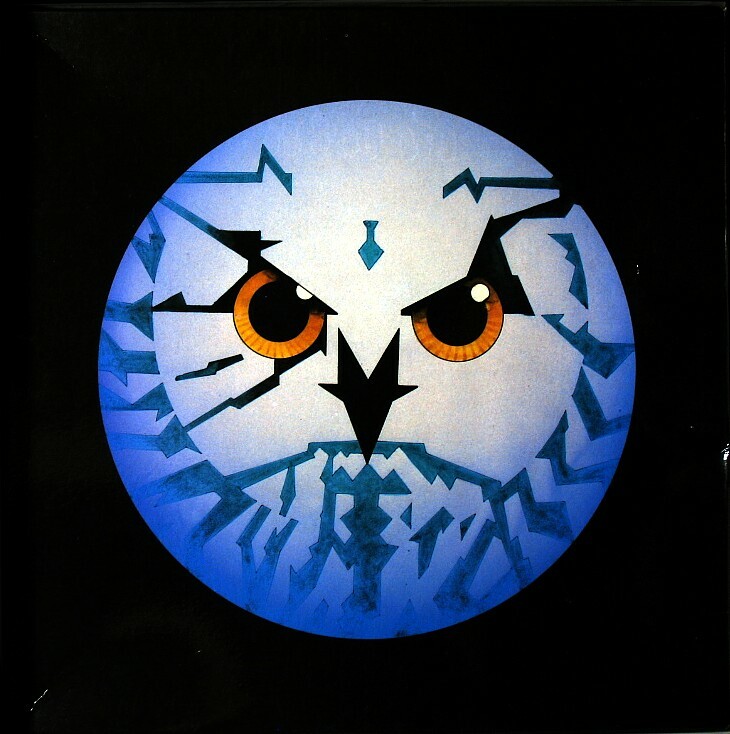 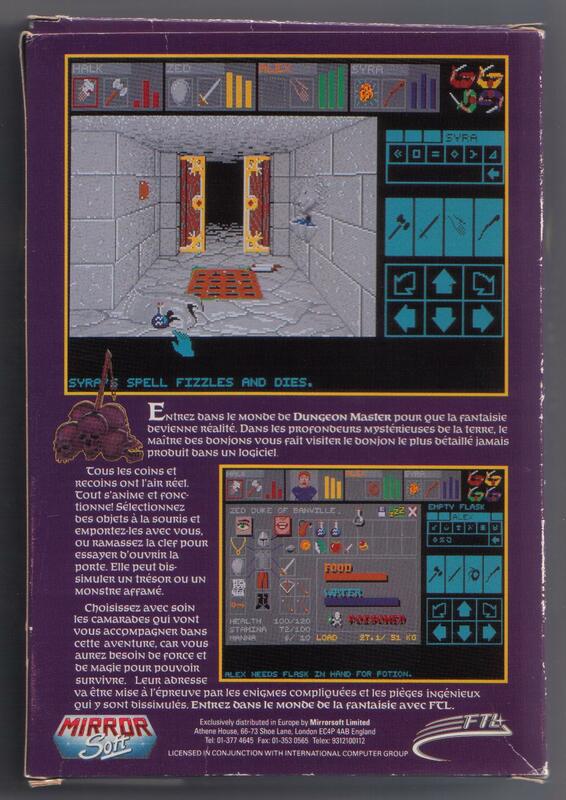 This card was in the box of the Psygnosis release. 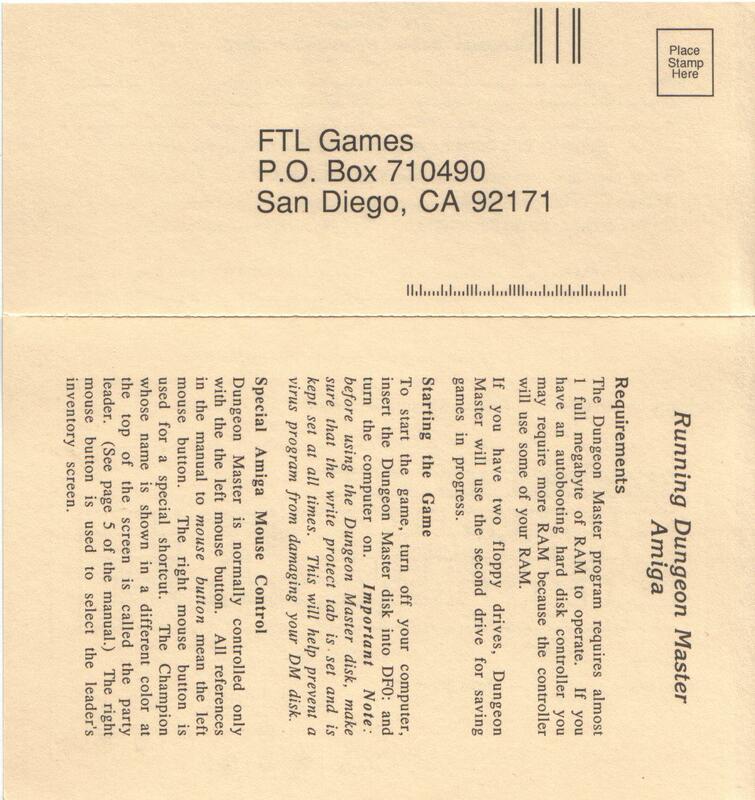 This package contains the same Dungeon Master disk as in 'Dungeon Master for Amiga bundled with AmiRAM'. 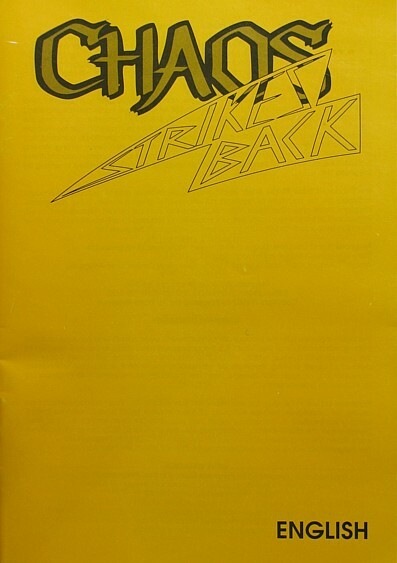 This package contains the same Chaos Strikes Back disks as in 'Chaos Strikes Back for Amiga (Alternate scans)'. 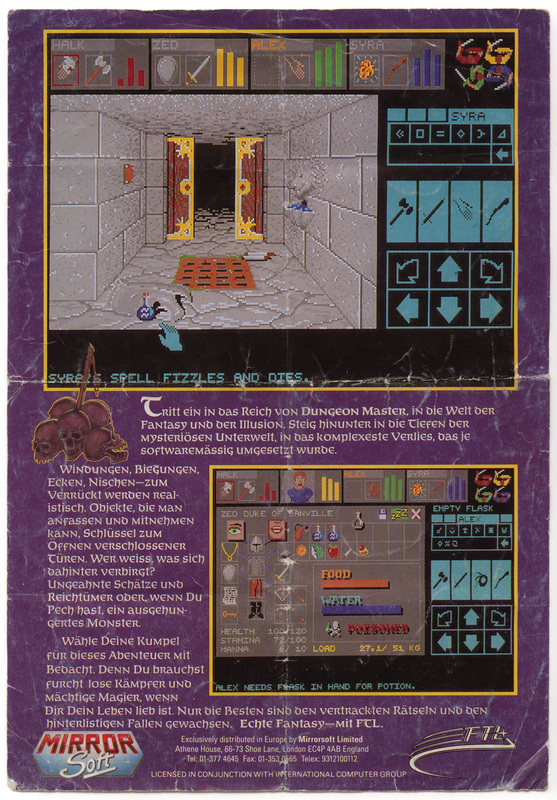 This package contains the English version of the game released in Germany with translated material. 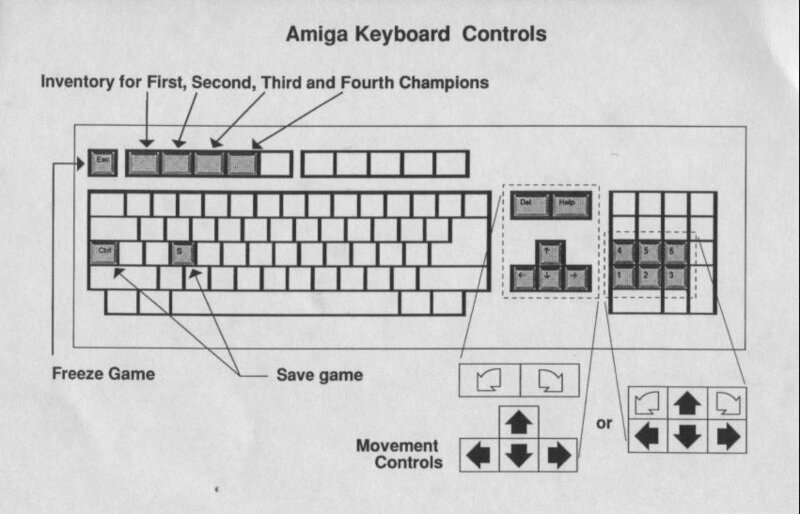 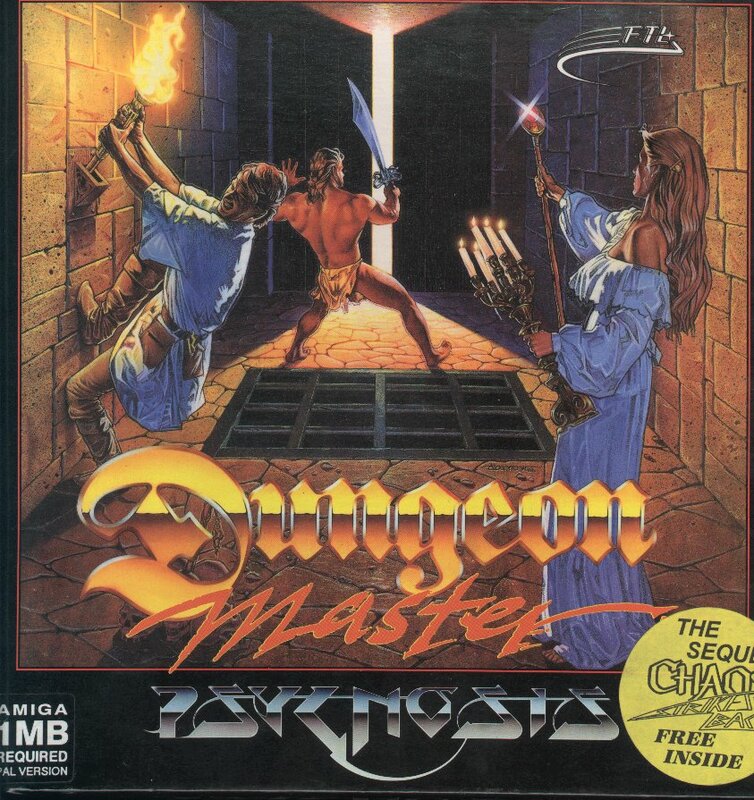 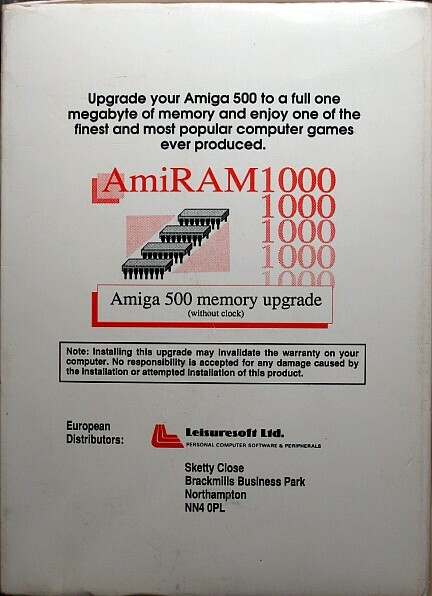 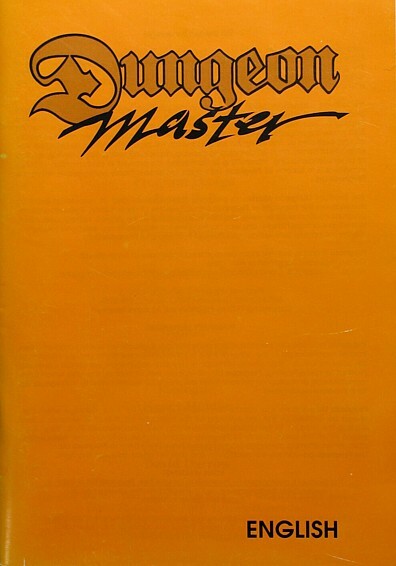 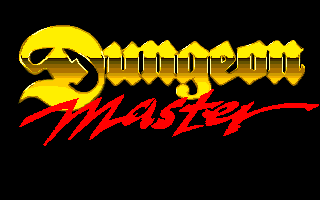 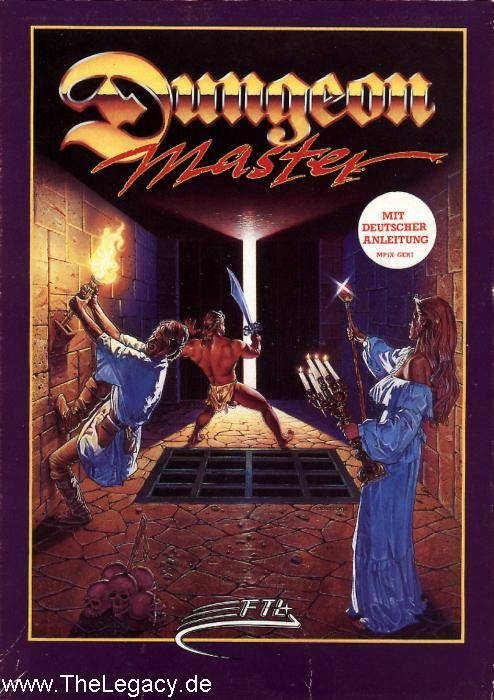 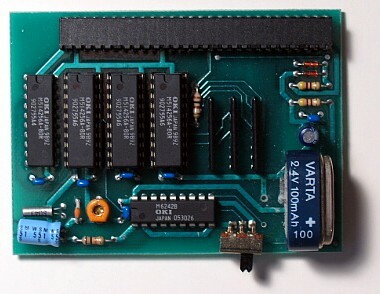 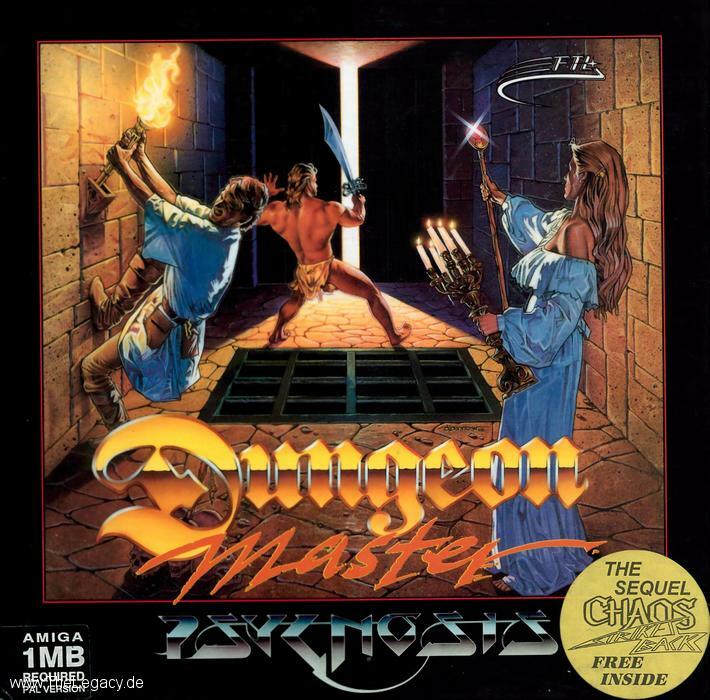 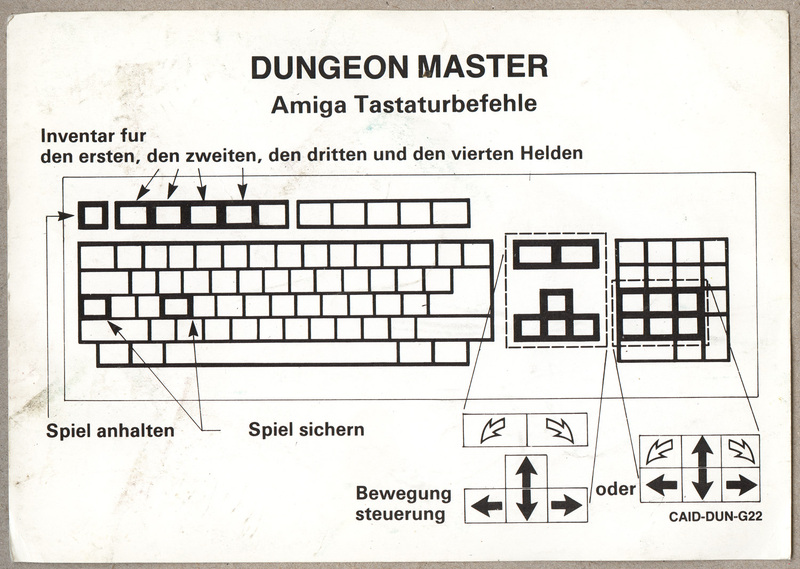 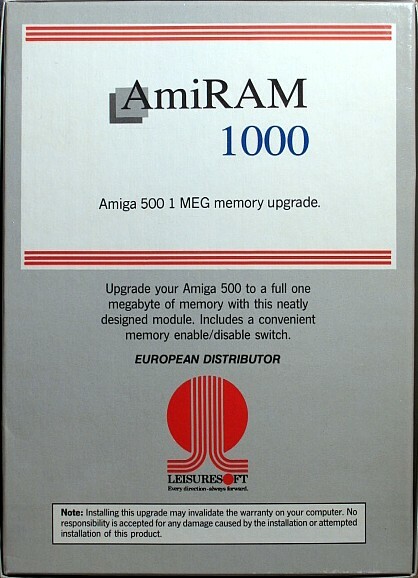 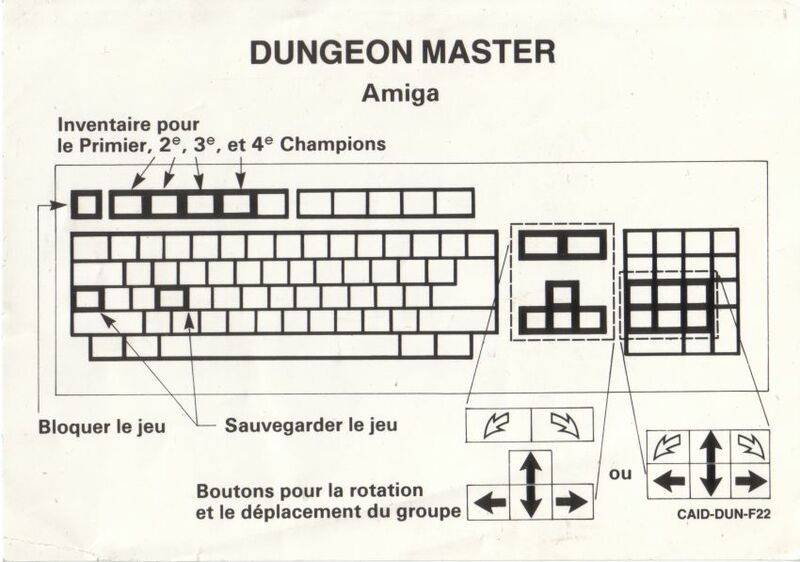 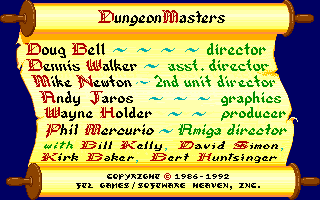 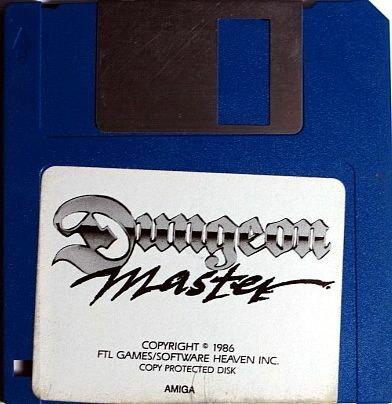 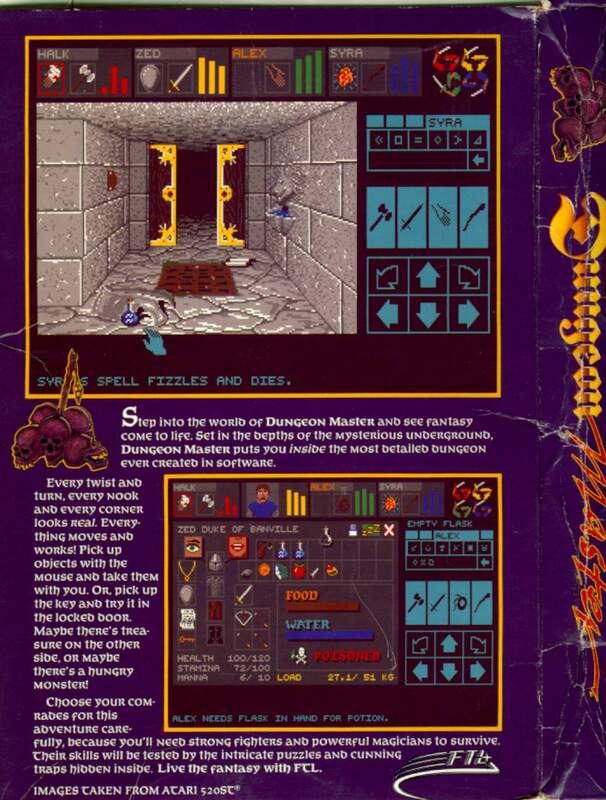 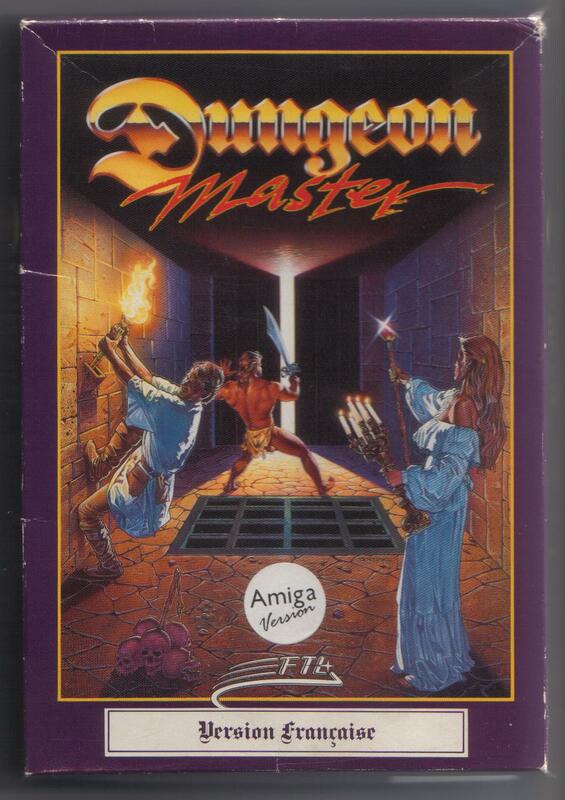 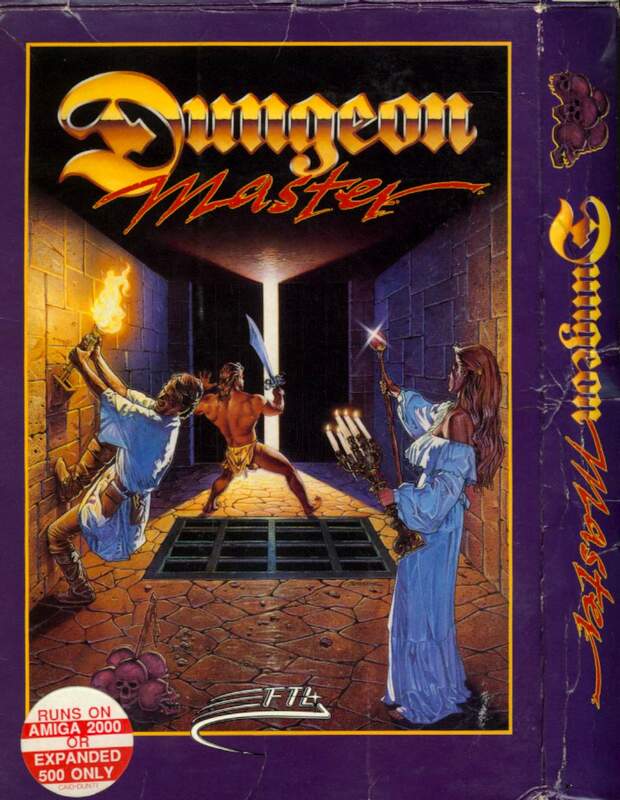 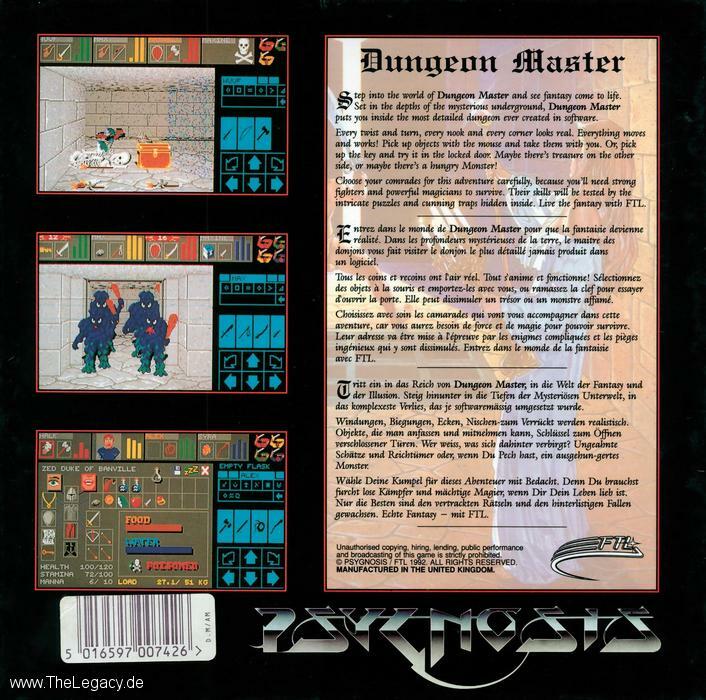 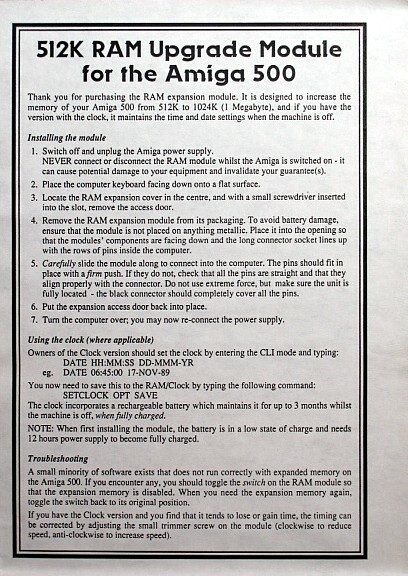 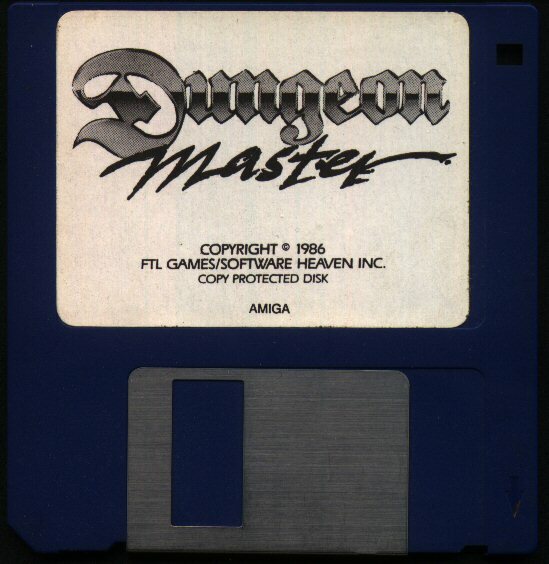 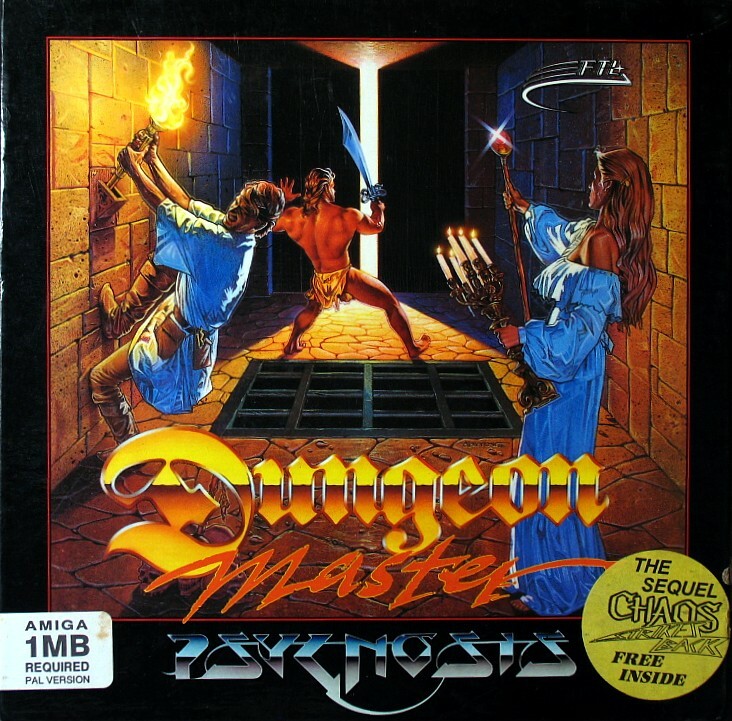 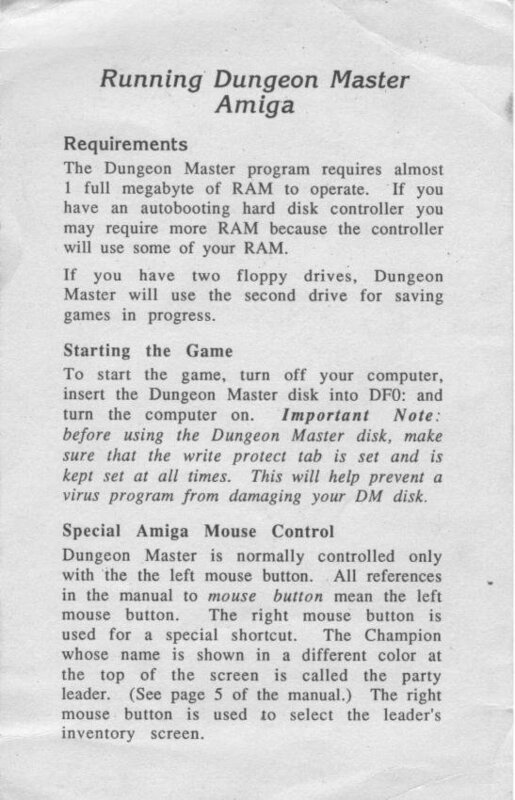 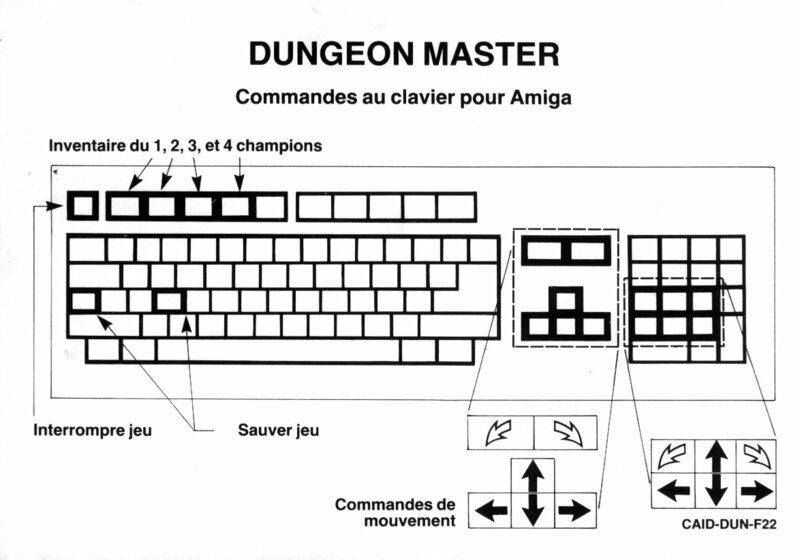 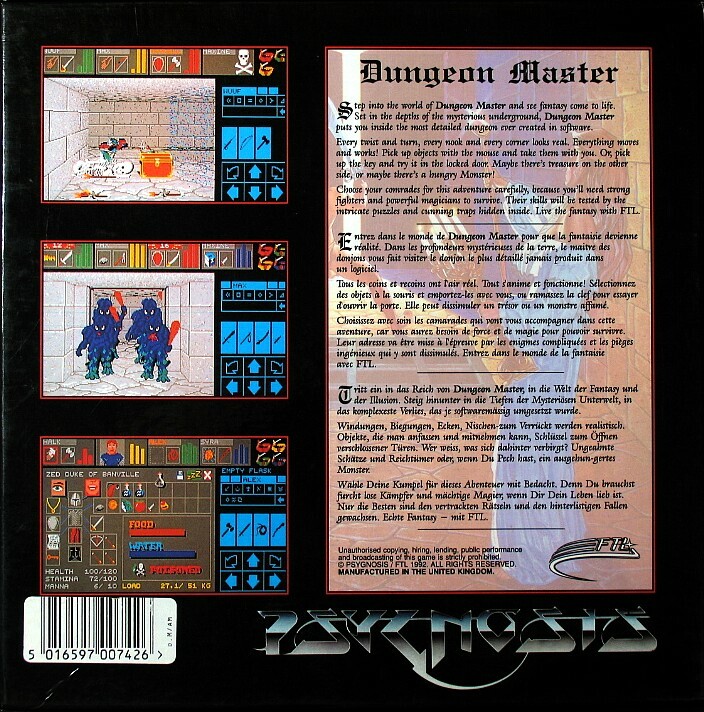 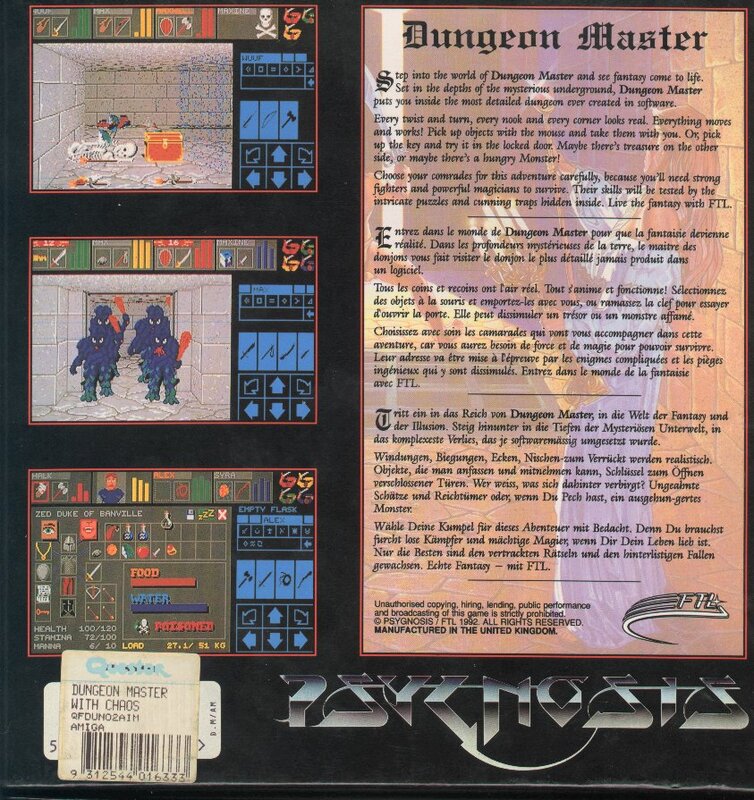 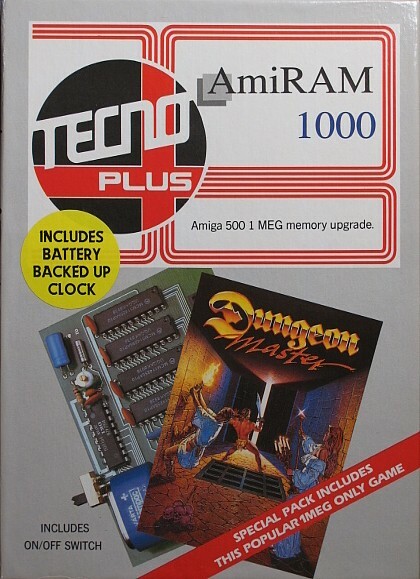 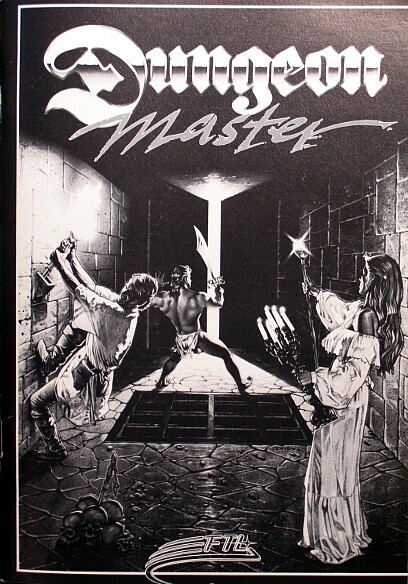 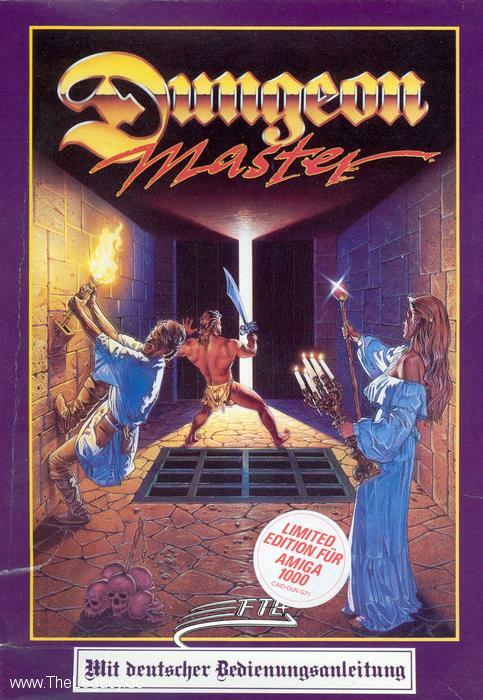 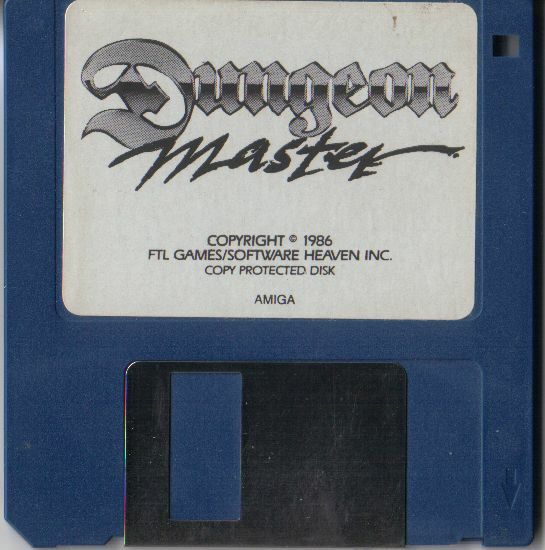 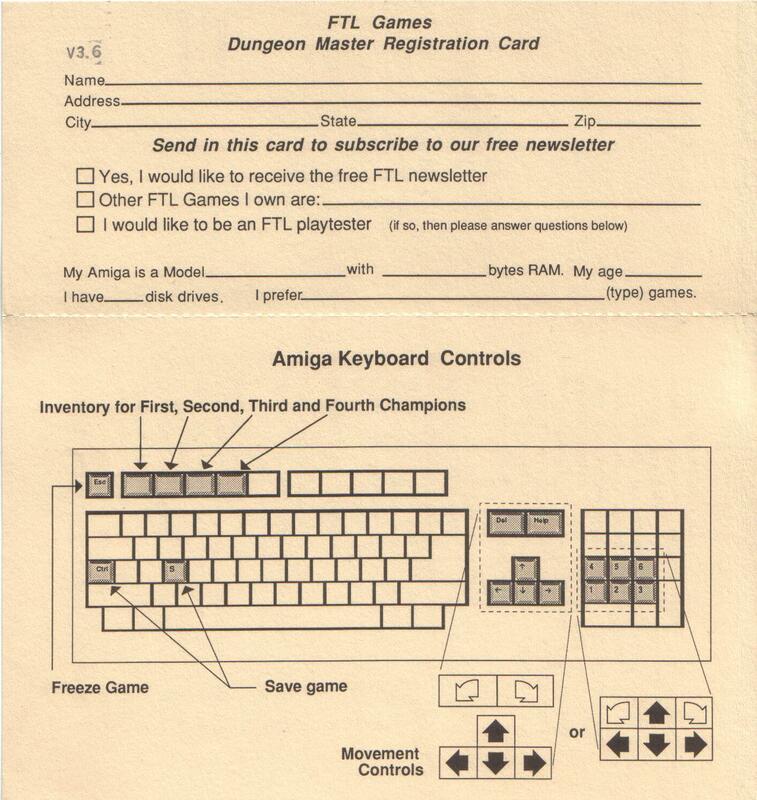 The AmiRAM memory extension for Amiga computers was bundled with Dungeon Master because it was an example of a game requiring 1 MB of RAM. 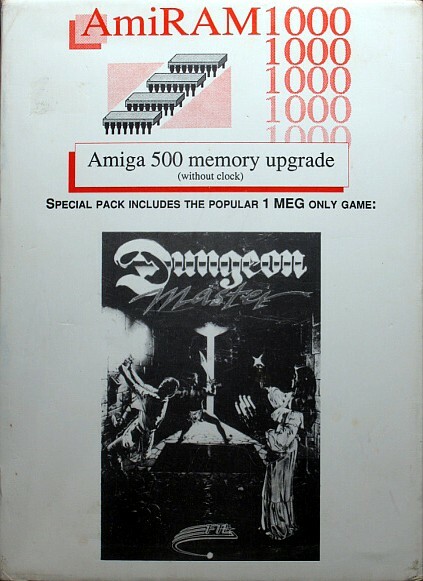 There were two different packagings. 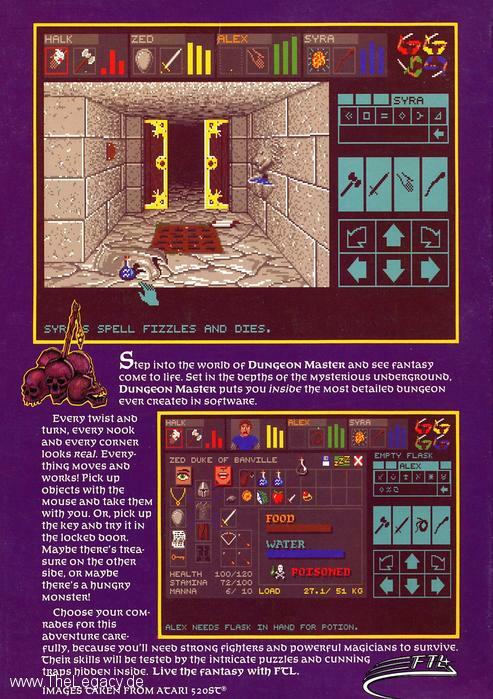 This alternate version also included the same Dungeon Master manual. 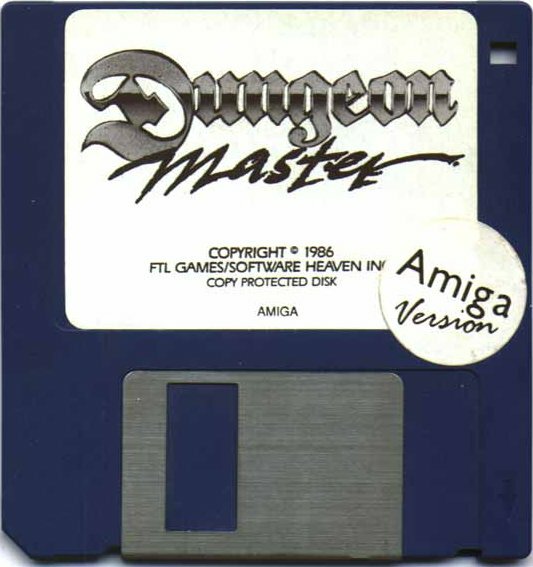 This version of the game can be played from the floppy disk or from a hard disk. 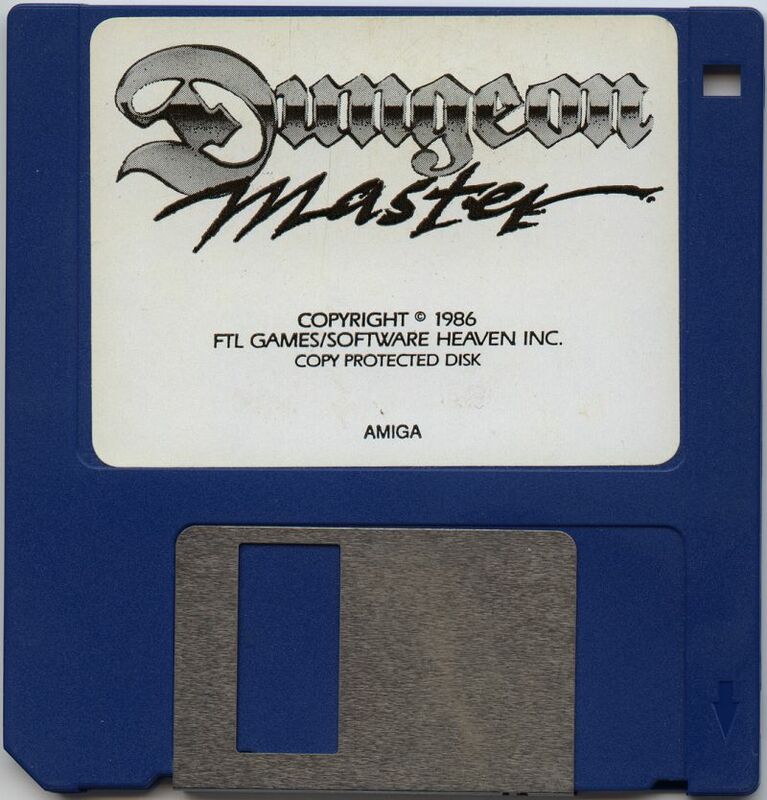 Note that the copy protection is not completely cracked in this version and thus the game may crash with the 'SYSTEM ERROR 60' message. 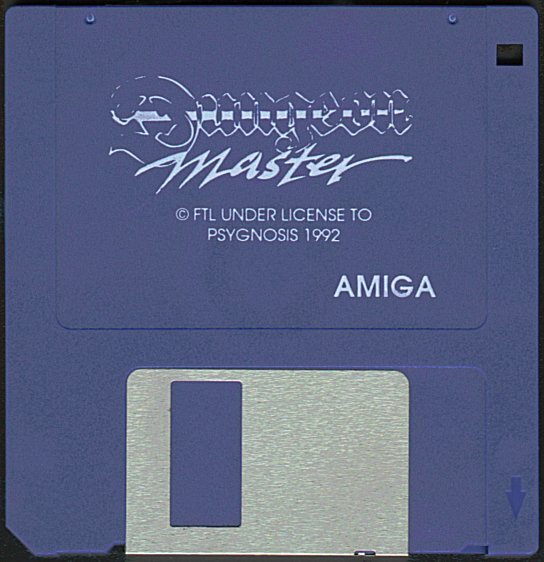 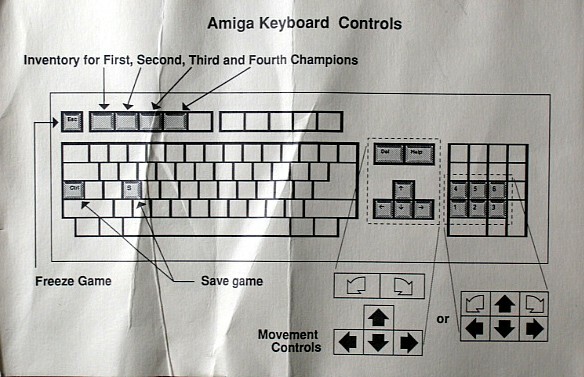 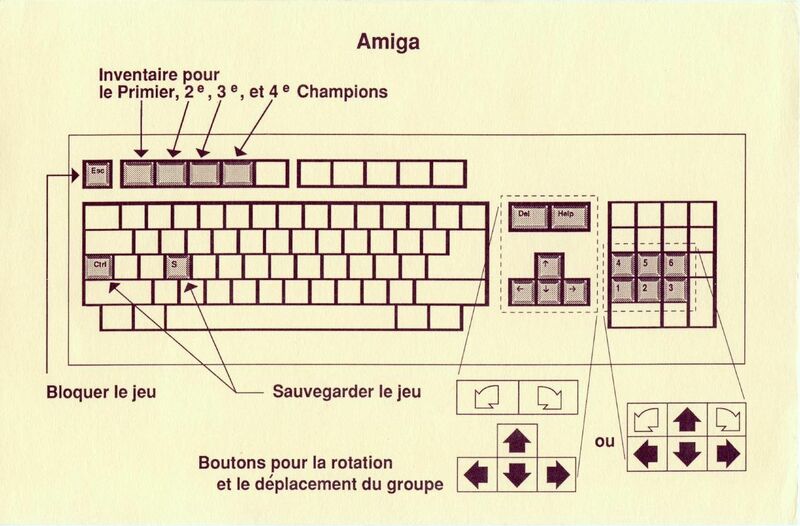 This version consists of an Amiga disk image in IPF format. 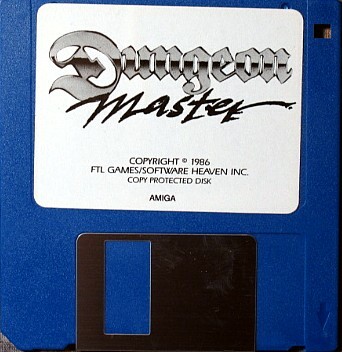 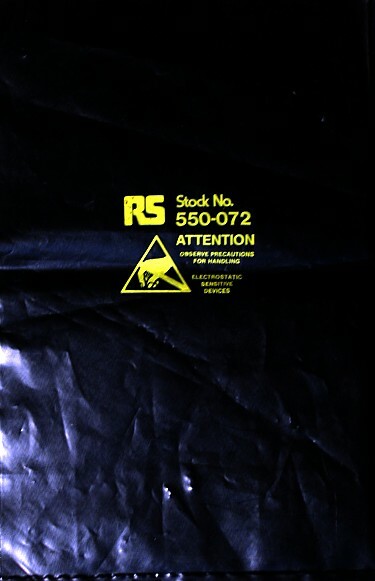 You need the Software Preservation Society (SPS, ex CAPS) emulator plugin to use this image. 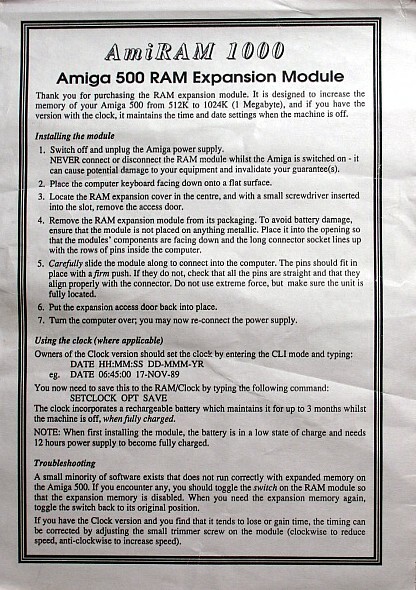 Note that this version is not copy protected. 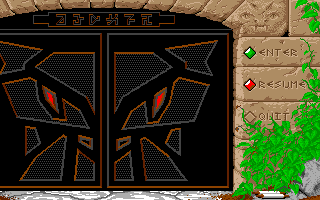 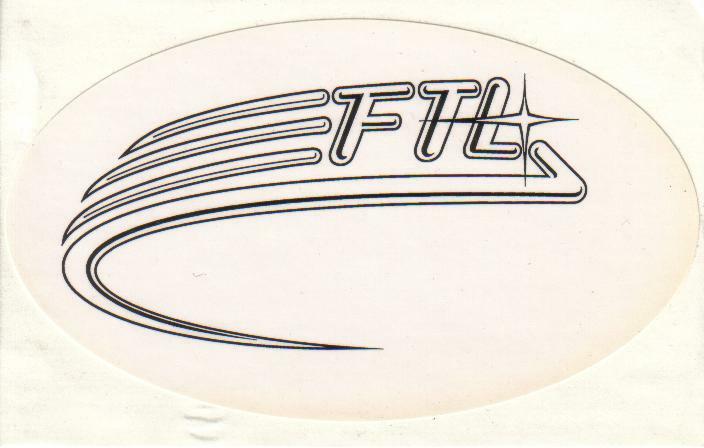 The graphics.dat file has been changed: the copy protection routine was replaced by the the FTL Logo "swoosh" data. 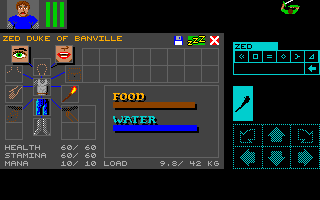 The code is now in the main executable. 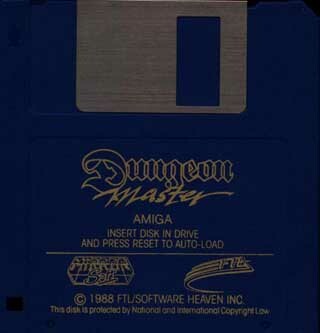 The dungeon.dat file is not changed. 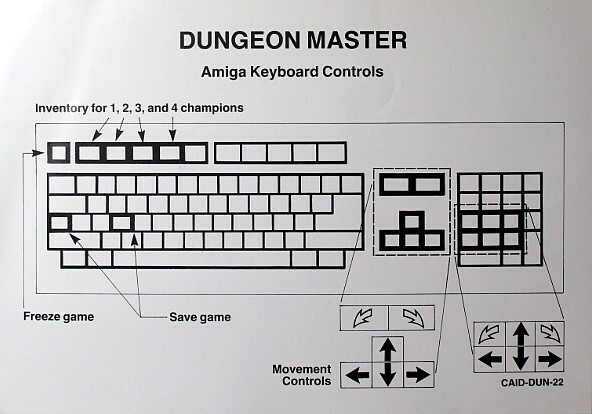 That version runs in multitask (except for audio) and has an exit option (use CTRL-C if you don't have any champion in your party). 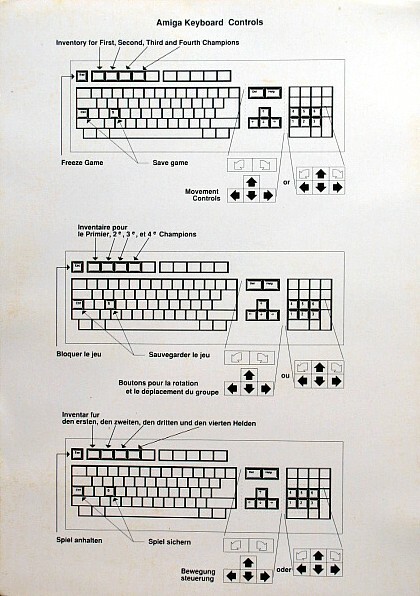 The keyboard management was changed to play with the num pad. 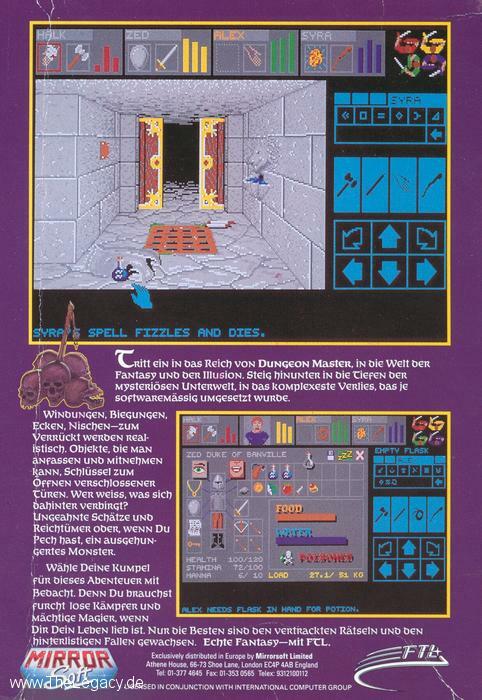 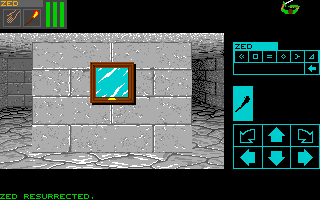 The game is slow because of a dynamic translation of the screen that is still managed in Atari ST format.